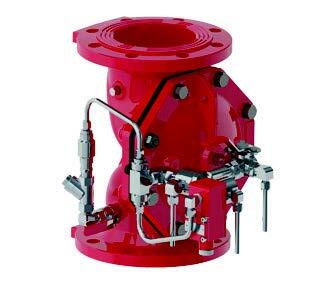 RAPHAEL fire protection valves are elastomeric diaphragm type, streamlined globe and angle pattern valves. 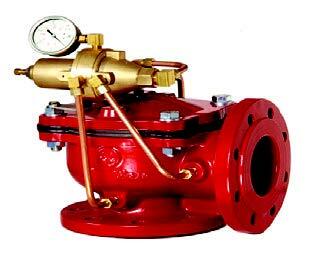 The valves are used for fixed fire suppression systems, with water, foam, and seawater media. With only 3 parts in the main body, the valves feature direct resilient diaphragm seal with no wet spring or metallic moving parts inside. 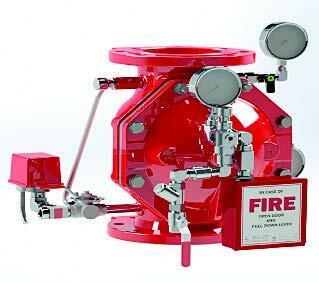 Raphael Fire Protection can be used in a large variety of systems, as Deluge, Pre-action, Pressure control, Monitor and Hydrants, among others. Raphael Diaphragm valves operate with a patented reinforced diaphragm, which eliminates the need for a compensating metal spring. The special elastic design enables gradual and precise opening or drip tight smooth closing of the valve without vibration, preventing water hammer, in vertical or horizontal installation.